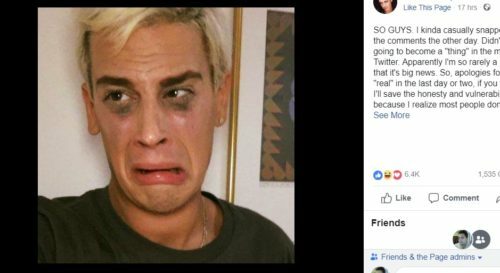 Milo Yiannopoulos’s financial troubles are likely to get even worse: Patreon, a platform for content creators to raise money from their fans, just kicked him off. Last week, the Guardian reported that the former Breitbart editor – who is also a gay Trump supporter, a misogynist Twitter troll, a harasser of transgender college students, a defender of pedophilia, and a live crab gourmet – was $2 million in debt, according to financial documents he shared with an Australian events management firm. As amazingly successful as Yiannopoulos is, he won’t be able to convert that success to money with Patreon. The platform kicked him off. He had set up a page there for his “magnificent 2019 comeback,” a “comeback” because he had been kicked off so many other platforms, including the far-right website Breitbart, and blacklisted from conservative events even. And he was offering donors rewards for donating. For example, if he’s in your town, he’ll invite you to drinks if you give him $750 a month or more. Another reward is a birthday phone call. Responses to the tweet were largely positive, but a few conservatives had trouble understanding that the “free markets” they love so much don’t provide any protection from a private company disassociating itself from their movement. thankfully we wont have to wait much longer till these "private" platforms get a taste of democracy when the government BREAKS THEM UP! As for Yiannopoulos’s debts being related to how “successful” he is, there is plenty of evidence out there that he’s just bad at managing money.